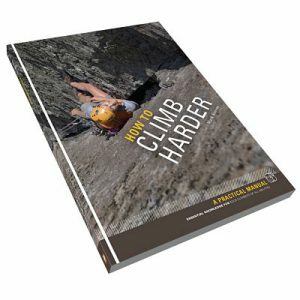 I am not really a facebooker, but if I were I would be giving you a 5-star review of this week’s lead climbing coaching course. I found the overall approach relaxed yet professional and tailored to ensure that the 2 days were maximised in terms of climbing value. As a result I learned a lot. The selected routes were challenging but achievable and teaching points introduced throughout were useful and relevant. I am now super keen to get out and put them into practice. It was also great to be on a course in which I was allowed/expected to be lead climbing for most of the time. You also did a great job of maintaining my motivation on day 2 when things were getting tough on Creagh Dhu Wall! I would have no hesitation in recommending Snowdonia Mountain Guides to others, or to use them again myself for further coaching. A very positive experience all round – thank you Mark. We took John on a lead climb coaching course and after chatting to him and have him demostrate he could lead and place gear on an easy pitch of climbing, we then gave him some exercises to do whislt leading. This included a couple of tough VS leads and some severe and HS terrain over two very hot days. Marks service is professional, informative & fun. 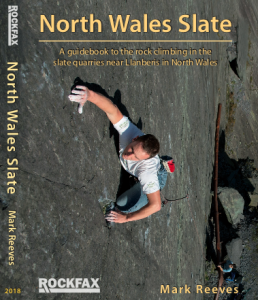 He has run many courses/sessions for my daughter & for the NWYCA (North Walkes Youth Climbing Academy). If you have specific issues re[gards] your climbing or reaching your potential Mark & SMG are the people you want. You will not be disappointed. Working with Richard’s Daughter and the whole team at NWYCA was really good fun and a way to test my coaching. unfortunately, I was away too much over the winter to offer the type of ongoing support the team needed. Guide, coach, mine of information and all-round good craic. 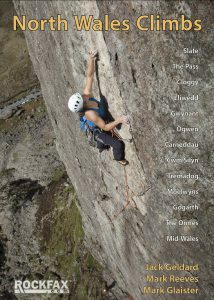 Getting out in the Pass and Ogwen with Mark have been some of the very best climbing days ever. Be it covering a lot of ground in one day, building confidence and skills for harder routes, or both at once, I can recommend SMG, 100%. We coach Jeremy on VS/HVS terrain and he inspired us with his skill. I spent two days in May scrambling with Mark as preparation for a climbing trip to the Alps. Mark’s professionalism was obvious from the start and inspired confidence. I had a fantastic two days and would have no hesitation in recommending Mark and SMG. We had a great two days climbing some amazing classic scrambles including Dolmen ridge. Thanks to Peter I now know a Dolmen is a burial chamber, embarrassing I know! Well organised and lovely people – our group of 34 had a fabulous time exploring Snowdon for our fight against malaria! Thank you to Mark and the team! This was one of Snowdonia Mountain Guides Busiest days as we had a rock climbing course running at the same time. So I called on my best guides to run this event up and down Snowdon. A real testament to not only the Nando’s team but my team of guides, coaches and instructors as well. Spoken to the lads this morning for some feedback for you. The lads said it was a quality week, pitched at exactly the right level and really enjoyed it. They asked me to pass on a massive thank you for your efforts. We worked with dave to deliver a rapid trad climbing development week to 6 students. Just a quick note to say a big thank you for the time you spent with Andy and me over the weekend. I really enjoyed the course and learnt a fair bit from the instruction too. Add some cracking routes and good weather, and I don’t think we could have done any better! We worked with Gareth and Andy on an Intro to Trad climbing course. I just wanted to drop you a quick email to say thank you very much for all your efforts on our trip up Snowdon on Friday. As you were aware it was a particularly emotionally charged day and we did have one or two ‘slower paced!’ The day would not have gone as well as it did without your professionalism and guiding hand it was wonderful to have someone with us (especially in those weather conditions who had such excellent working knowledge and patience!! Thank you again for all you did and we hope to meet again one day, in the meantime, we would like to thoroughly recommend your services. We worked with Jo to get a group to the top of Snowdon to raise money for her mums charity.